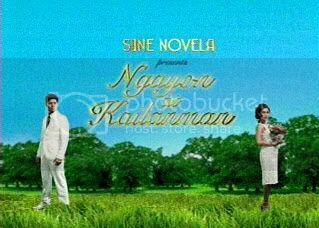 GMA is now showing the full trailer of Sine Novela Presents Ngayon at Kailanman starring Heart Evangelista and JC de Vera. Ngayon at Kailanman is originally a box-office romantic drama in 1992 starring Sharon Cuneta, Richard Gomez, Cherrie Gil and directed by Joel Lamangan. It will be adapted by GMA Network for television as part of their “Dramarama sa Hapon” block. JC De Vera will play the role of Edwin Torres, originally played by Richard Gomez while Heart Evangelista will portray Ayra Noche, Sharon Cuneta‘s character. At the press conference of Ngayon at Kailanman at Annabel’s Restaurant last June 3, Heart admitted that she feels the pressure of matching, if not besting, the ratings achieved by Dapat Ka Bang Mahalin, another GMA Sine Novela starring Aljur Abrenica and Kris Bernal. The said soap registered a daytime record of 30%+ in Mega Manila and it even topped the nationwide daytime tv ratings of Taylor Nelson Sofres from time to time. “Actually, ang pressure is with Dapat Ka Bang Mahalin?, kasi siyempre, ang taas ng ratings nila na parang pang-primetime na. I think, that’s more of the pressure that I feel or we feel at the moment. So, I feel parang nagkaroon ng standard na nagte-30 plus ang rating ng non-prime. So, nandun yung pressure kung maaabot din ba namin ito. That’s it,” Heart’s confession. Heart’s previous tv project in the kapuso network is Luna Mystika and it was a top-rater in Mega Manila. On June 8, she will embark in a new block, the daytime race, as Ngayon at Kailanman will set its pilot episode on Monday.